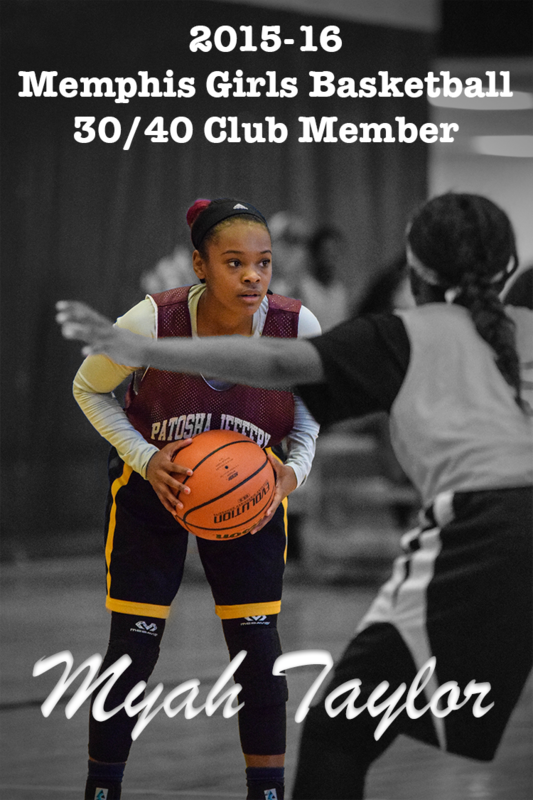 One player whose game continues to grow and expand is class of 2019 guard, Jayla Hemingway. 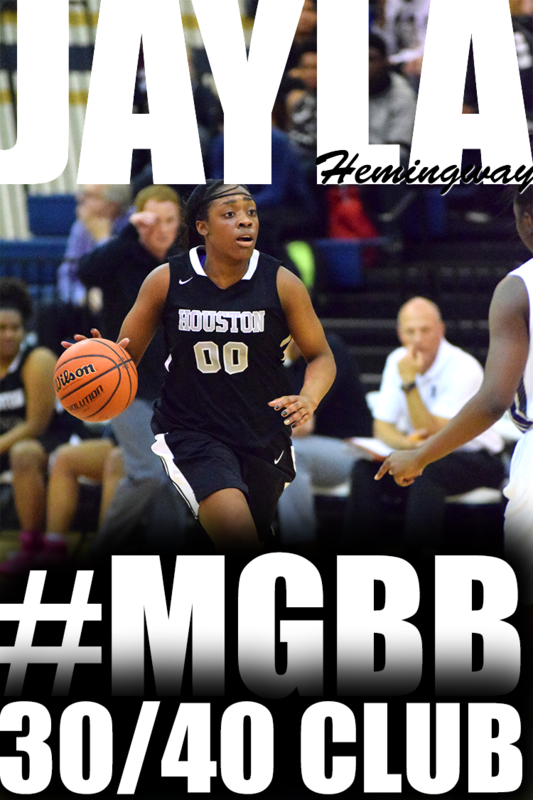 Hemingway brings a balance of power and developing skill to the backcourt positions. With her size she is comfortable playing around the rim too. This weekend we saw Hemingway show more comfort playing off the bounce and making quality decisions with the ball in her hands. She can thrive playing in the halfcourt as well as playing in transition and attacking the rim. 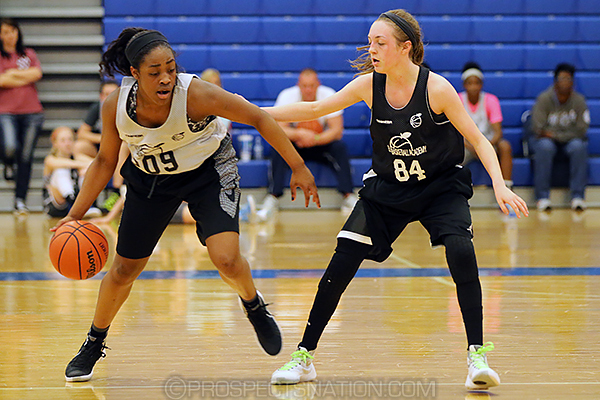 As she becomes a more consistent perimeter shooter, Hemingway could put herself in the discussion as one of the top prospects in the country for the class of 2019. Jasmine Joyner’s most vivid memory playing basketball in Mississippi occurred three years ago in Jackson. The former Southaven star lost in the Class 4A state championship in four overtimes to Forest Hill, 76-74. Joyner returns to the Magnolia State as a member of Chattanooga looking to top that memory on an even bigger stage. 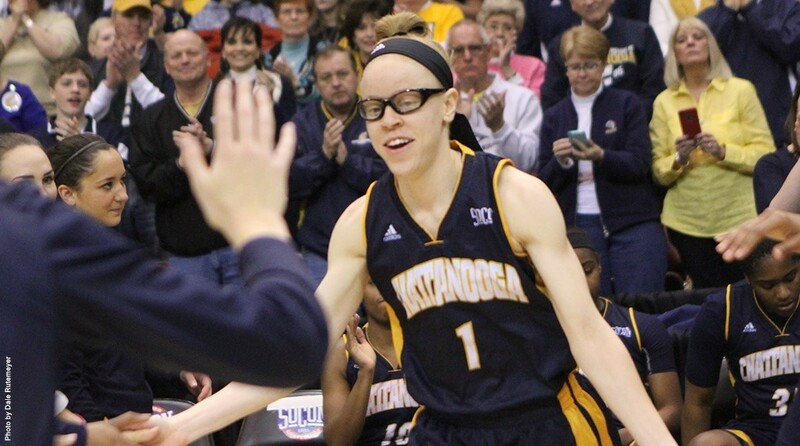 The 12-seeded Mocs travel to Humphrey Coliseum to play No. 5 Mississippi State at 1:30 p.m. Friday in the first round of the NCAA Tournament. “When I finally saw that it was at Mississippi State, I was even more excited,” Joyner said. Joyner’s mom, Jo, called her repeatedly after the selection show on Monday. Joyner’s friends arranged plans to return to campus from spring break early. They plan to root for both teams. 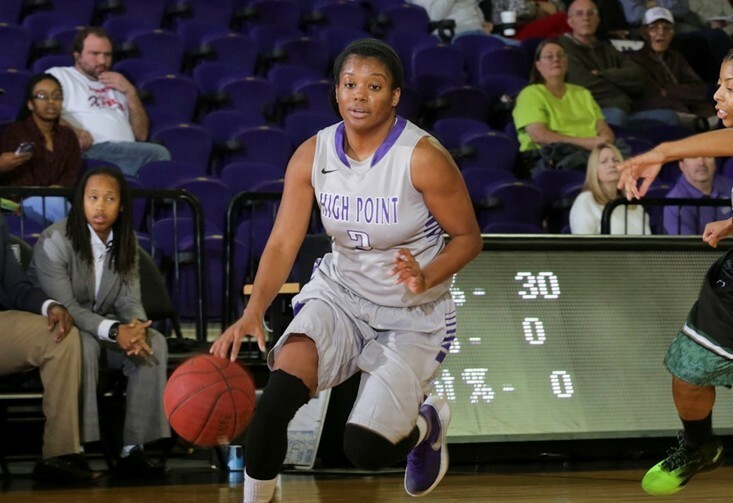 Joyner leads Chattanooga averaging 12.9 points and 9.3 rebounds. She also leads the nation averaging four blocks. The 6-foot-2 junior has 11 double-doubles and has scored a career-high 31 points against Tennessee-Martin and had 21 points and 20 rebounds at Furman. 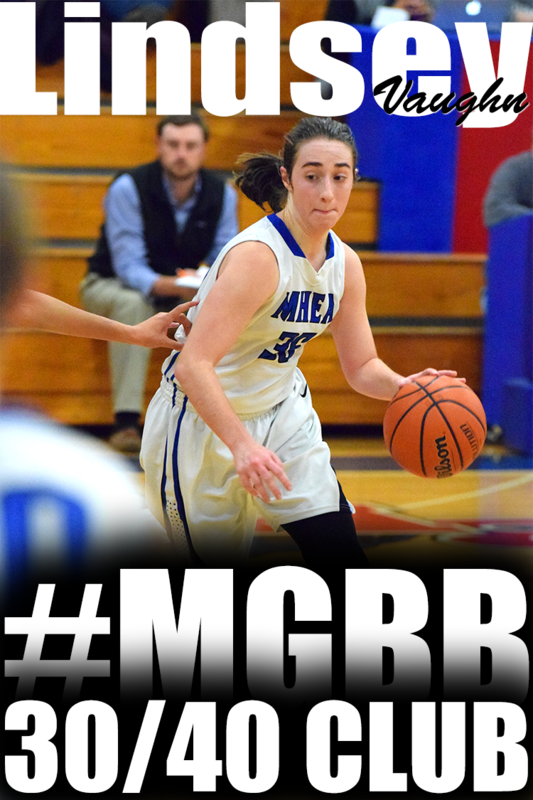 Joyner faces her toughest test Friday. Chattanooga lists her as a center. Mississippi State starts three players at 6-1 or taller. 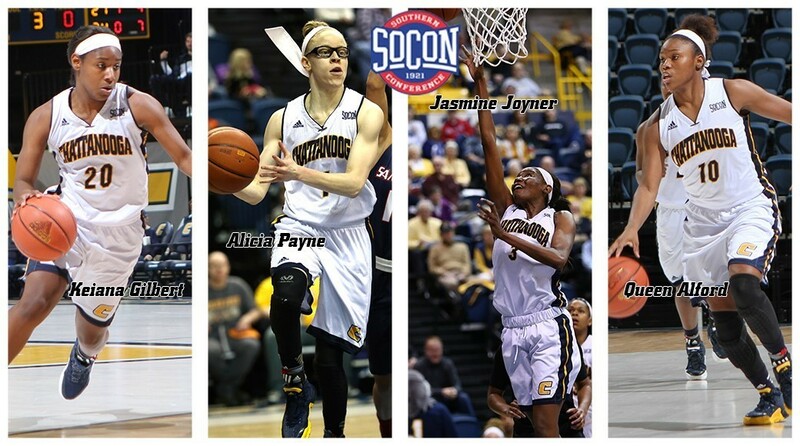 Chinwe Okorie at 6-5 and Teaira McCowan at 6-7 have at least a two-inch advantage on any Chattanooga player. “We just have to focus and play our best game,” Joyner said. Coach Vic Schaefer was in his first year at Mississippi State when Joyner lost in the state championship. He didn’t spend any time recruiting the Southaven standout in 2013. He’s well aware of her talent now. For Joyner, she hopes the return to her home state extends throughout the weekend. Congratulations to the following Memphis area players participating in this years NCAA Tournament!!! The Central girls basketball team was forced to play catch-up all game long during Friday’s AAA state tournament semifinals. And it finally caught up with the Lady Warriors. Hot-shooting Murfreesboro Riverdale surged into the championship game with an 80-58 victory at Middle Tennessee State’s Murphy Center. Riverdale (31-4) will play Oak Ridge for the championship Saturday at 1 p.m. The Lady Warriors, who were making their first appearance at state since 2013, end the year with a 35-3 record. Those 35 victories are the most of any AAA team in the state. As they did in Wednesday’s quarterfinal victory over Wilson Central, the Lady Warriors ran up against a team that wore it out from the 3-point line early. Riverdale — which tied a tournament record with 12 triples in its quarterfinal victory over Morristown West — connected on 5 of 6 3s to build a 20-7 lead after the first quarter. Riverdale led 33-23 at the half, thanks to 65 percent shooting from the floor. The Lady Warriors, meanwhile, were struggling at just 28.1 percent and only led at one point in the contest, at 2-0. Central kept chipping away and was within two midway through the third quarter when Jasmine Carson’s bucket made it 35-33. Riverdale, though, quickly pushed the lead back to 10. Carson came up with a steal and a bucket that made it 44-36 with 2:16 to go in the third then got another steal that ended up with Brianna Cooks scoring to make it a six-point game. But Riverdale answered with a 10-0 run to close out the quarter and instead of being down six or less heading into the fourth, Central was down 16. Riverdale coach Randy Coffman said he liked the way his team responded when Central dialed up the intensity. Central didn’t help matters with some questionable shot selection in the final two minutes of the third. Haynes said it was the one time this year when his freshman- and sophomore-heavy squad really showed its age. 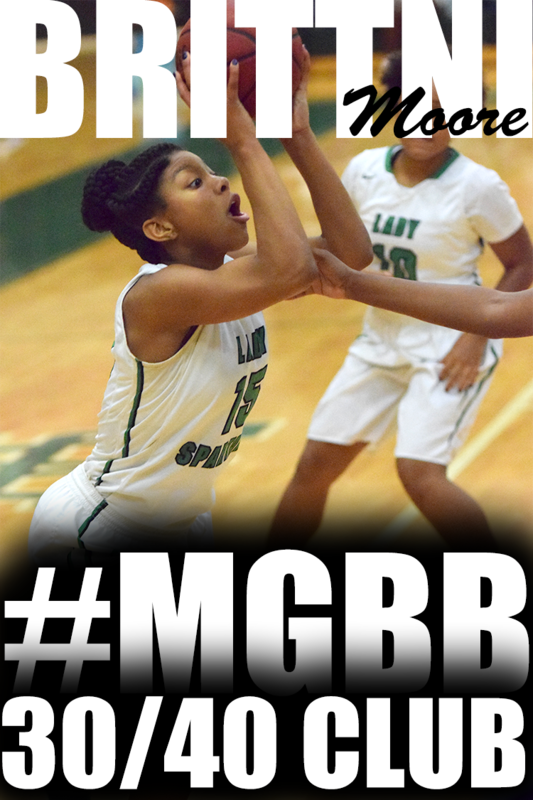 Barnes, a UAB signee, ended her high school career with a team-high 15 points. Carson added 14 and four steals while Jireh Washington chipped in with 12 points. Alexis Whittington had 23 points on 10 of 14 shooting to lead Riverdale, which finished the game at 59.1 percent from the floor. 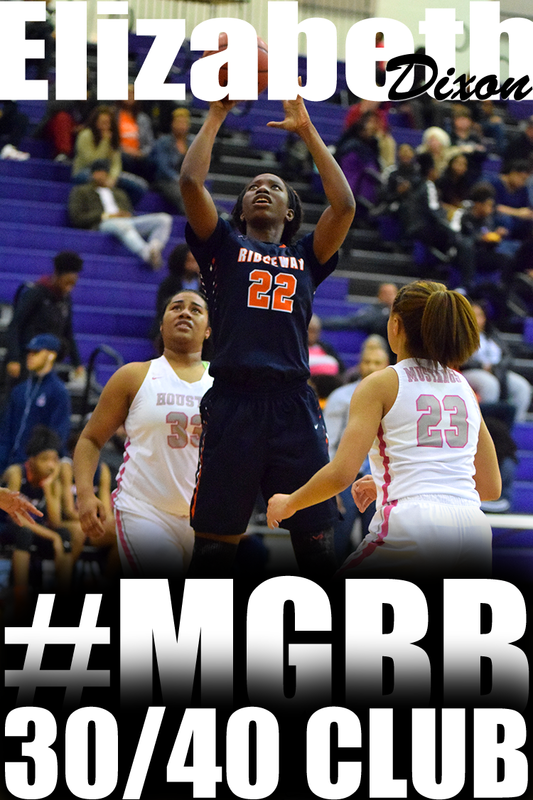 Miss Basketball finalist Anastasia Hayes added 21 and six assists. The Central girls basketball team got to see firsthand why Kendall Spray has the state record for 3-pointers in a season. But Spray and her teammates got a chance to see why the Lady Warriors have won 35 games. 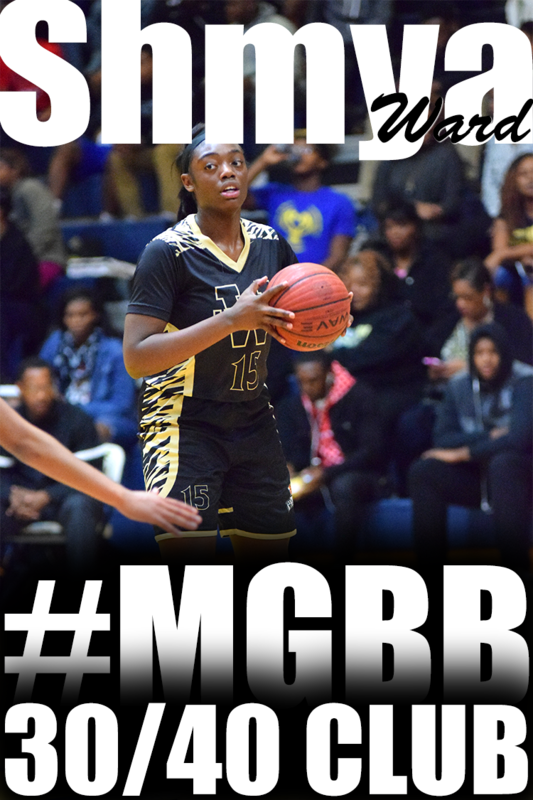 Jasmine Carson scored 17 points and fueled a second-half rally as the Lady Warriors defeated previously unbeaten Wilson Central, 48-43, on Wednesday at MTSU's Murphy Center to advance to the TSSAA BlueCross AAA semifinals. The victory puts the Lady Warriors, who are making their first appearance at state since 2013, in Friday's 11:30 a.m. semifinals against Murfreesboro Riverdale, which defeated Morristown West, 70-55. "Thirty-five and two is great," said Central coach Rashad Haynes. "But we have two more games to close out ... and win a state championship." 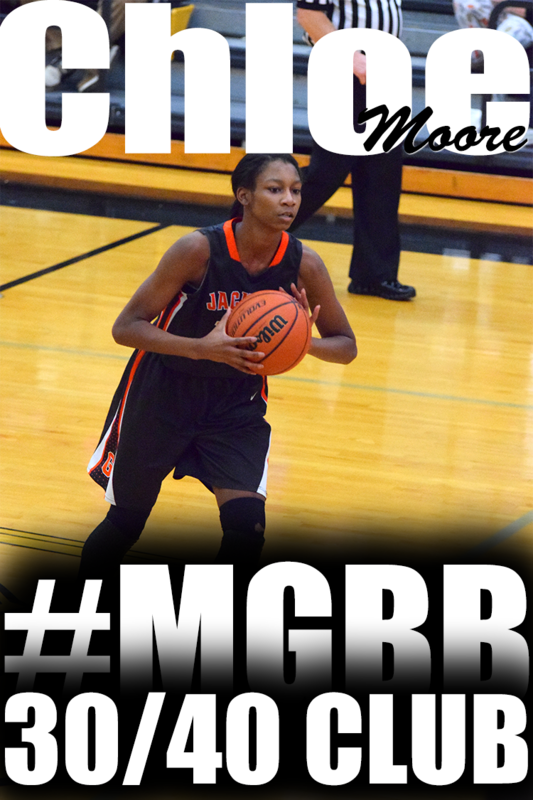 The Lady Warriors struggled offensively and shot just 36.7 percent from the floor (2 of 14 on 3-point shots). But their swarming defense more than made up for it and helped overcome a first-half barrage from Spray, a Tennessee-Martin signee and Miss Basketball finalist. Despite constant hounding by several Lady Warrior defenders, Spray hit five 3-pointers and scored 17 of her team's 19 first-half points. Wilson Central led by six at the break. "It makes you hair gray. Or the rest of the hair you have left," said Haynes. Added Carson, "It was frustrating. But I told my team not to give up, that the game wasn't over yet." And it wasn't. Central has shown all season that it can put up points in a hurry and it finally got its offense going after Wilson Central built a 30-20 lead with 3:16 to go in the third quarter. Carson hit a 3-pointer, then converted a pair of steals into layups to make it 30-27 after three. A three-point play by Jireh Washington with 5:31 to go then gave Central its first lead since the first quarter, 34-33. Layups by Brianna Cooks and Carson then gave the Lady Warriors a 43-39 edge with 1:31 to go in the game, and Carson and Miyah Barnes sealed the deal by combining to hit 5 of 6 late free throws. Central also did a much better job on Spray, who holds the state record with 170 3-pointers. But she scored only four points in the second half. For the game, Wilson Central shot 14 of 40 from the floor (35 percent) and turned the ball over 22 times. Central, meanwhile, committed just three turnovers. "I don't know that we've seen a team that's as long and athletic at all five positions," said Wilson Central coach John Wild, whose team ends the year 33-1. "We didn't value possession, that's it in a nutshell. ... We got a little tighter with the ball, but that's credit to them." Haynes, who coached Central's boys to a state track championship last spring, said his team's conditioning played a key role. "When the other team is tired, that takes a toll," he said. "It's a fundamental advantage we have. We never quit." UAB signee Barnes had eight points for Central; Tijuana Griggs and Johne' Stewart added six apiece. "Our motivation is, we do what we say we're going to do," said Griggs. "We motivate ourselves." Central girls basketball coach Rashad Haynes said he doesn't know very much about Wilson Central, his team's opponent in the quarterfinals of the BlueCross AAA state tournament. But he knows plenty about his Lady Warriors. "They (Wilson Central) are undefeated," Haynes said. "But for me, it's going to be more about how we play." Haynes has reason to be confident. Despite having only two seniors, the Lady Warriors have been outstanding in building a 34-2 record, the second-best mark among the eight tournament teams. One of the top offensive teams in the state, Central won its first 26 games of the year — climbing to the top of the state polls at one point — before losing to White Station on Feb. 5. They then fell to Overton in the District 16-AAA title game before avenging that loss to win the Region 8 championship. The Warriors then breezed past Bartlett 77-51 to win their sectional game last Saturday to advance to Murfreesboro for the first time since 2013. Their reward is a matchup against the only team in the field with a better record: Wilson Central, the champion from Region 5, enters today's 1:15 p.m. game at 33-0. "We're pretty excited about it," said Haynes. "It's going to be a great, great test, but the way I look at it is they've had on-the-job training during the season." Central is the last Division 1 girls team from Memphis to win the state title, bringing home the gold ball in 2011. To do it again, the Warriors will have to press the pace on both ends of the floor and knock down 3-pointers, two things they've been very good at. Senior Miyah Barnes, a UAB signee, is the team's on-court leader and she gets plenty of offensive support from a pair of talented sophomores, Jasmine Carson and Jireh Washington. All three averaged between 11 and 12 points per game during the regular season, with Carson leading the area in free-throw percentage (92.1) and Washington averaging a city-best 4.7 steals. The Lady Warriors also have a very effective post player in 6-4 Tijuana Griggs. The players coming off the bench are all freshmen and sophomores, but they're good. They'll need to be against a Wilson Central team that is led by Miss Basketball finalist Kendall Spray, a Tennessee-Martin signee and a deadly perimeter shooter who has a 54-point game (with 14 3-pointers) this season. "It's win or go home, and I think that gives us intrinsic motivation," said Haynes. "We're going to be who we've been all season." Basketball Training Sessions Start in 4 Days!! NASHVILLE - Barry Gray's prayers were answered Saturday. "My prayer for them today was to have calmness and determination," he said. "Just those two things." The Northpoint girls had plenty of both at Lipscomb University's Allen Arena as they played confidently from start to finish while dismantling Knoxville Webb, 63-42, in the TSSAA Division 2-A state championship game. It's the first title in school history for the Lady Trojans, who finish the year with a stellar 31-2 record. Webb had won the previous two championships, including a victory over Northpoint in the final in 2014. It was both of those and then some. Making its fourth straight appearance in the final four, Northpoint played like a team that had something to prove. The Trojans dominated from the opening whistle and never trailed. Northpoint shot 60 percent from the floor in the first half and led 33-18 at the break. "Very efficient shooting," said Gray. "I told them if we could take control on the offensive end ... that we could control our own destiny." And just to make sure the Spartans didn't even think about getting back into the game, Northpoint opened the third quarter on an 11-0 run to build a 26-point advantage. Baker highlighted that burst with a pair of spectacular driving layups. 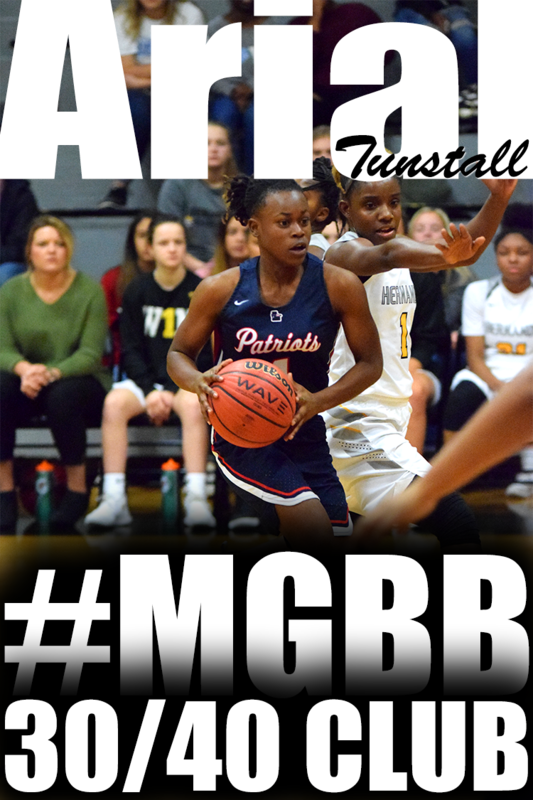 The 5-6 junior — who will be one of the three finalists when the Miss Basketball awards are handed out Tuesday in Murfreesboro — was named tournament MVP after 22 points, seven rebounds and three assists. "I wouldn't be where I am without these three girls," said Baker. She was referring to Jade Wells, Lauren Gross and Lindsey Whiteside, who joined her on the all-tournament team. Wells was a huge presence in the paint, finishing with 16 points on 6-of-9 shooting. Gross knocked down a pair of long 3-pointers while finishing with 10 points. But the Trojans wouldn't have made it over the finish line without Whiteside, who scored 13 points but made her biggest contribution on defense as she locked down Webb's Miss Basketball finalist, Micah Scheetz. Scheetz managed just four points on 2-of-12 shooting before fouling out on a questionable charge call midway though the fourth. "She's a great player, but I just focused," said Whiteside, who will be returning next season along with Baker, Gross, Wells and the other starter, Hannah Shafer. "I knew this team would be special in the summer," said Gray. "We played everybody; we played teams from four different states and we only lost one game. "The players just understand how to get the most out of each other perfectly. The pieces just fit so well together." Northpoint (63) — Ashtyn Baker 22, Lauren Gross 10, Hannah Shafer 2, Jade Wells 16, Lindsey Whiteside 13. Knoxville Webb (42) — Casey Collier 4, Kayleight Hames 11, Haylee Luttrell 8, Reagan Munday 1, Every Satterfield 9, Micah Scheetz 4, Kinley Green 5. The faster the pace of the game, the better Ashtyn Baker likes it. And she and her Northpoint teammates were thriving Thursday. The Trojans advanced to their second Division 2-A state championship game in three years, withstanding a 3-point shooting barrage from Franklin Road Academy to win, 57-50, at Lipscomb University's Allen Arena. In Saturday's 1 p.m. final, the Trojans will face Knoxville Webb, which has won the last two state championships and beat the Trojans in the 2014 final. The Spartans ousted Ezell-Harding 48-39 in the other semifinal. "I love to run and I have teammates that love to run," said Baker, a Miss Basketball finalist. "I love a fast-paced game." Baker finished with 19 points, seven rebounds and six assists and shouldered most of the ball-handling load for the Trojans, who kept their poise against a Panthers team that ran at every opportunity while hoisting 20 3-point attempts. Even more impressive was the fact that they did it with all five starters going the full 32 minutes. "That wasn't by design," said Trojans coach Barry Gray. "We really only go six-deep and we had our senior, Lindsay Bramlitt, ready to go. But Hannah (Shafer) stayed out of foul trouble and we rolled (the dice) with Jade (Wells) after she picked up her fourth foul." Gray said his players frequently practice against boys from the school's junior varsity, which helps keep their conditioning high. "We've been prepared to play at this level," said Lindsey Whiteside, who added 14 points and eight rebounds. Northpoint led 50-48 with about a minute to go when Baker came up with a clutch basket inside that gave her team a four-point cushion. FRA made a pair of free throws before Baker and Whiteside combined to go 5 of 6 from the line in the final seconds to wrap it up. Wells finished with 12 points and 12 rebounds; Lauren Gross chipped in with nine points. Riley Casey had 17 to lead FRA, which shot just 38 percent for the game (7 of 20 from beyond the arc) and was out-rebounded 35-27. "It was a fun game to watch but not a fun game to coach," said Gray. "It was two really good teams that played hard and I think there were times in the game when each team forced its will on the other. "It was one of those games where you hate to see one team lose." There's still one more game to go though as Northpoint bids to win its first state championship. This year marks the Trojans' fourth straight trip to the final four and while, admittedly, in the past they've just been happy to make it, the goal is a lot higher this time. "We're not on a cruise ship," said Baker. "We're on a battleship." Franklin Road Aca. (50) - Riley Casey 17, Taylor Casey 9, Jessica Heldman 9, Alison McKinney 3, Lily Pierce 5, Catera Sawyers 7. Northpoint (57) - Ashtyn Baker 19, Lauren Gross 9, Hannah Shafer 3, Jade Wells 12, Lindsey Whiteside 14. The Colonels have rebounded nicely from last year’s disappointing 9-17 season that saw them go 4-12 in the Ohio Valley Conference and not make the postseason tournament. 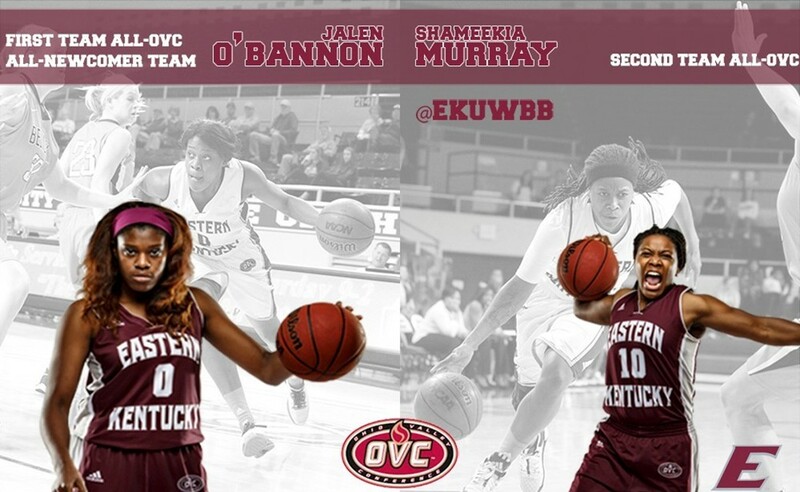 EKU heads into today’s OVC Women’s Basketball Tournament in Nashville as the No. 4 seed, with a 16-11 record overall, and 10-6 in conference play. One of the biggest reasons for the turnaround this year has been the outstanding play of junior Jalen O’Bannon. In her first season at the school, the 6-foot-1 transfer from Arkansas State has been the most consistent player for coach Chrissy Roberts’ squad all season. O’Bannon leads EKU in both scoring and rebounding, averaging 17.4 points (fourth in the OVC) and 10 rebounds (first in the OVC) per game. Those 15 double-doubles, earned her the OVC Newcomer of the Week award a league-record tying nine times. On Tuesday, O’Bannon was named First-Team All-OVC and was also selected to the OVC All-Newcomer Team. 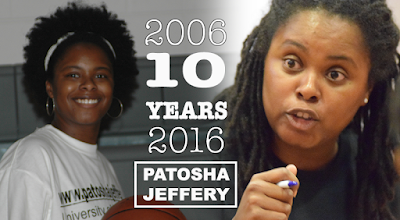 O’Bannon’s road to Richmond came through her friendship with former Colonel Jasmine Stafford. The two have been friends since their playing days in high school in Memphis. After finding out O’Bannon was wanting to transfer from Arkansas State, Stafford mentioned it to Roberts and her staff. They liked what they saw and invited O’Bannon to come check out EKU. That one visit, O’Bannon said, was all it took. O’Bannon, who had to redshirt and sit out last season after transferring, said it was difficult not playing, especially with the Colonels losing a lot of games. Last year, some internal strife lead to a lot of problems on the court for the Colonels. Roberts addressed those issues after the season, and O’Bannon said the difference in team chemistry is a big reason for the improvement in the team this year. O’Bannon, Michaela Hunter and Polly Murray are all averaging in double figures on the season, but in many other games, someone else stepped up and has big scoring games. O’Bannon said this is the most unselfish team she’s ever played on. O’Bannon averaged 9.1 points and 3.9 rebounds as a freshman at Arkansas State. 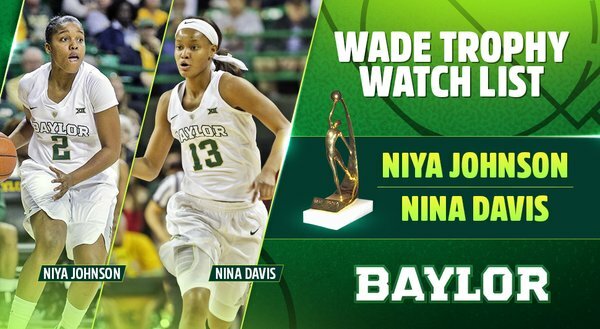 She improved that to 10.4 points and 6.6 rebounds her sophomore season. O’Bannon said her mother always tells her she won’t be the player she wants to be if she doesn’t set high goals for herself. Heading into this season, O’Bannon said she wanted to average 12 points and get eight rebounds per game, but realized soon, she needed to aim even higher. 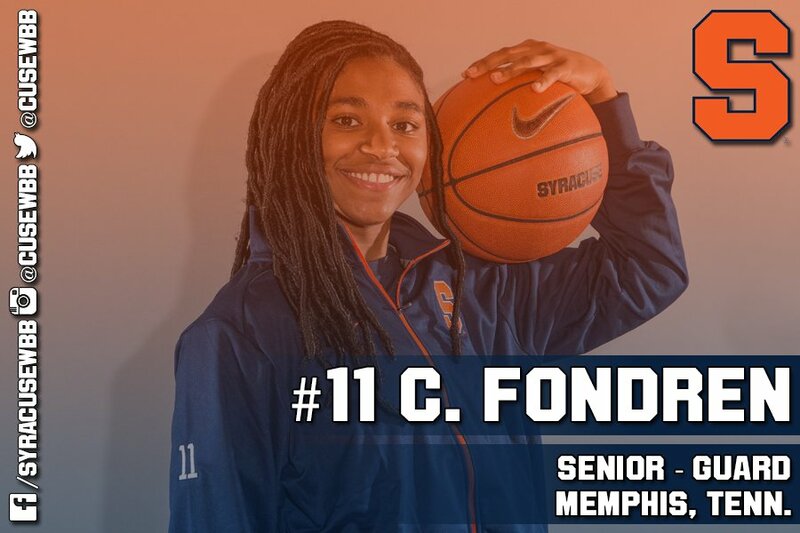 She not only reached those goals before the regular season’s end, but surpassed her point total. O’Bannon has been a scoring force on the inside for the Colonels all season, but it’s her league-leading rebounding prowess that’s she’s most pleased with. But O’Bannon is far from a one-dimensional player. 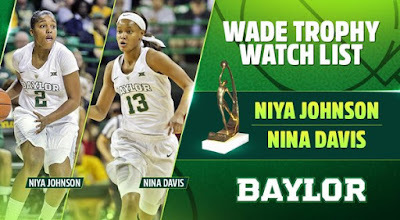 She has the speed and ball-handling skills to be a scoring threat on the perimeter and can guard multiple positions on defense as well, which makes her much harder for opponents to handle on both ends of the floor. On many occasions this year, O’Bannon has grabbed rebounds and led the EKU fast break by bringing the ball up the floor herself. Despite having an outstanding season thus far, O’Bannon said she not satisfied and thinks the Colonels aren’t done yet. She also already has some lofty goals for herself and the team next year as well. Here is a look at the local teams competing at this week's Division 2 state basketball tournament at Allen Arena on the campus of Lipscomb University in Nashville. Semifinal opponent: Knoxville Webb at 11:30 a.m.
What to expect: The Lions and Webb meet in an elimination game for the fourth consecutive season so the atmosphere from both sets of fans should be highly-charged. Yarbrough is the kind of player who can get on a roll and single-handedly carry a team, if needed. Austin's speed will also make a difference but the x-factor could be Crum, who made four of Harding's 11 3-pointers in Saturday's quarterfinal victory over University School of Nashville. Yarbrough also had four in that one, and if the Lions are connecting from deep, watch out. Semifinal opponent: Franklin Road Academy at 1:15 p.m.
What to expect: Gray says this one will be like an NBA game, with both teams getting up and down the court at any opportunity. FRA likes to shoot 3s -- Gray says they'll attempt nine or ten per quarter -- but they have enough athletes to drive to the hole as well if the defense gets stretched too far. 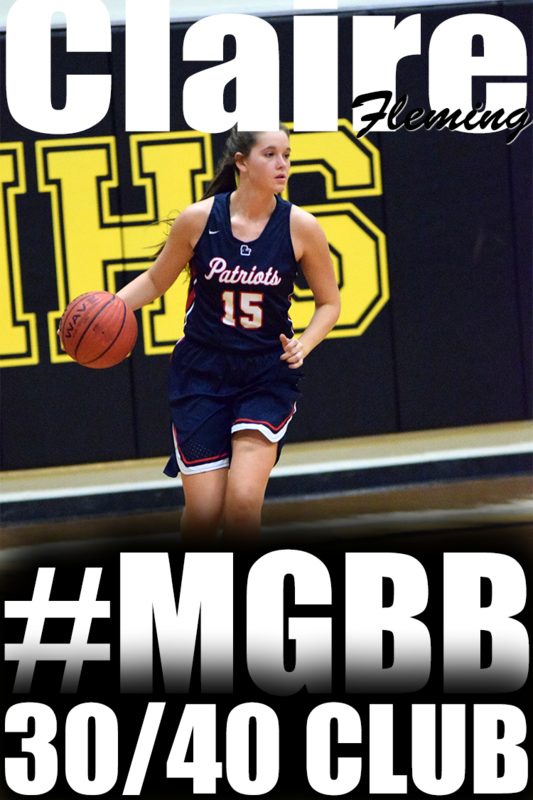 Much will be riding on the shoulders of point guard Baker; the Miss Basketball finalist is playing in her fourth straight final four and will shoulder plenty of the scoring and most of the ball-handling duties in what should be an intense contest. 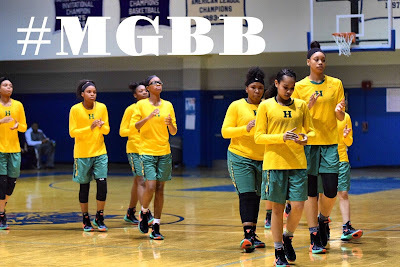 Semifinal opponent: Franklin Road Academy at 2:45 p.m.
What to expect: The battle-tested Lynx are finishing strong after opening the season with some very tough games against national-level competition. The talented Stokes will need to come up big while Neloms -- who has improved by leaps and bounds this season -- will need to have a solid floor game. It will be interesting to see who draws the primary defensive assignment against Franklin Road's Mr. Basketball finalist Kenny Cooper, who will be playing on his future home floor at Lipscomb this weekend. Semifinal opponent: Chattanooga Baylor at 10 a.m.
What to expect: The Eagles -- who have won 10 of their last 12 -- did well to avoid a match-up with a strong Brentwood Academy team in the semifinals. Baylor should be a kinder draw for a team playing at state for the first time in five years, but St. Benedict will still have to play a great game. University of Memphis signee Barnes will be the key against Baylor's pressure and if the Eagles' bigs can control the glass, they have a great chance to advance. Semifinal opponent: Nashville Ensworth at 2:45 p.m.
What to expect: The Brothers aren't going to beat themselves -- and certainly not two years in a row. They were in good shape against Brentwood Academy in last year's championship game before uncharacteristically unraveling down the stretch. CBHS is disciplined and smart and shares the ball extremely well. This year's Ensworth team isn't as good as previous squads and it would be a big surprise if we didn't see another CBHS-Brentwood final on Saturday. Dyer Co. (70) — Olivia Crane 25, Tori Daniels 8, Hailey Hicks 15, Kaylee Luckett 3, Courtney Maupin 2, Amanda Pugh 1, Amber Thompson 16. Bartlett (51) — Karagan Coggin 2, Stella Gill 6, Jessica Jackson 17, Ashley Payne 9, Charity Savage 9, Nyla Smith 2, Dee Dee Williams 6. Records — Dyer Co. 26-5, Bartlett 16-13. Central (54) — Miyah Barnes 14, Jasmine Carson 10, Brianna Cooks 4, Tijuana Griggs 8, Kynadi Kuykendoll 7, Jireh Washington 11. Overton (40) — Rodrea Echols 16, Marquesha Fennell 3, Kyla Green 9, Ciera Pettis 8, Kayla Williams 4. 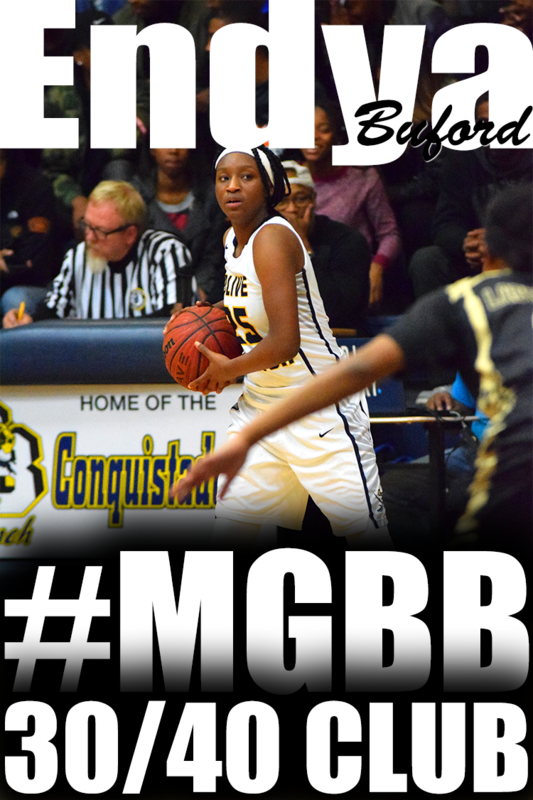 Covington (38) — Tia Bland 15, Kiara Booker 8, Malia Johnson 2, Treasuary Poindexter 13. Haywood (52) — Laquita Calloway 4, Rashadda Dancy 3, Jamirah Shutes 26, Madison Smith 10, Timia Tharpe 5, Wandarkyu Young 4. Dyer Co. (67) — Olivia Crane 17, Tori Daniels 7, Hailey Hicks 15, Kaylee Luckett 2, Amanda Pugh 4, Amber Thompson 22. Arlington (66) — Raegyn Branch 13, Nakia Grandberry 2, Taylor Lattimore 6, Ashley Lee 9, Callie McMorran 16, Tori Sewell 19, Caitlyn Wilson 1. Records — Dyer Co. 25-5, Arlington 25-8. Bartlett (45) — Jessica Jackson 11, Ashley Payne 5, Charity Savage 17, Nyla Smith 5, Dee Dee Williams 7. Munford (43) — Gabby Crawford 6, Shania Johnson 10, Johnna Jones 17, Deja Potter 10. Central (64) — Miyah Barnes 18, Jasmine Carson 9, Brianna Cooks 2, Tijuana Griggs 8, Kynadi Kuykendoll 2, Johné Stewart 6, Jireh Washington 19. 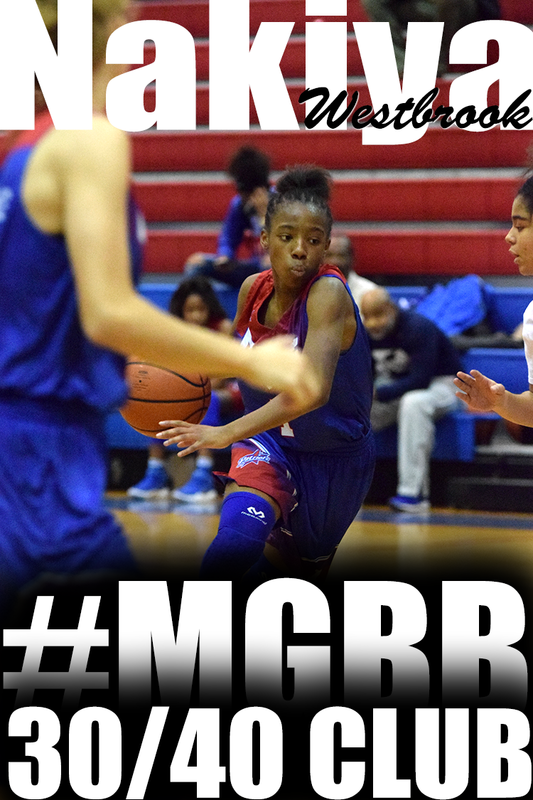 Houston (47) — Madison Griggs 13, Jayla Hemingway 12, Rochelle Lee 2, Sydney Malone 2, Jaida Roper 18. Records — Central 32-2, Houston 27-3. White Station (47) — Allanna Black 3, Kayla Bradley 2, Damiah Griffin 7, Kyla Harris 1, Tamia Jones 6, Dejah Montgomery 3, Brittni Moore 7, Taylor Williams 18. Overton (66) — Kiante Butts 2, Rodrea Echols 10, Marquesha Fennell 9, Kyla Green 12, Ciera Pettis 14, Kiara Pettis 4, Kayla Williams 15. Covington (53) — Tia Bland 13, Kiara Booker 10, Khylee Dowell 5, Alexis Johnson 3, Malia Johnson 2, Treasuary Poindexter 19, Lamia Udley 1. Craigmont (44) — Danielle Conley 17, Keveona Fayne 2, Mariah Houston 2, Akeria James 6, Morgan Morris 5, Daja Scurlock 12. Records — Covington 27-6, Craigmont 27-5. Liberty Tech (42) — Aliyah Collins 2, Cortney Fisher 3, Adrianna Givens 12, Jordyn Johnson 13, Aleyshia Mason-Pavia 5, Teja Pearson 5, Iya Jones 2. 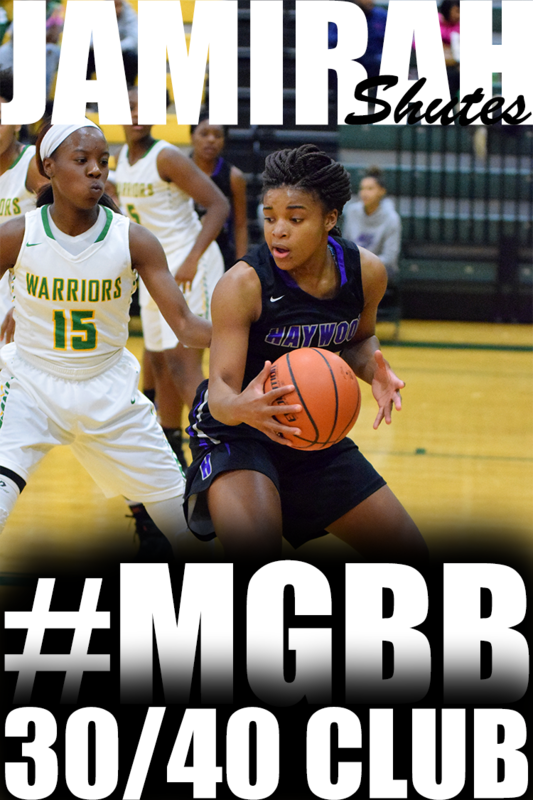 Haywood (63) — Laquita Calloway 10, Jamirah Shutes 23, Madison Smith 15, Timia Tharpe 12, Wandarkyu Young 3.